I have had dogs all my life and even when one dies, I get another immediately as I find it helps me get over the awful situation. I currently have two dogs, a cheeky whippet, named Dash, who is now 7 years old, and an older German Shorthair Pointer, named Pinno-kio who is 13. I have had mental problems with Pinno since I got him, however this article is about the younger one, Dash. I took insurance on Dash a few years ago as he had never had to go to the vet other than for annual injections, and because I was paying out so much for Pinno. I was quite happy to pay my $600 a year and never claim as that meant Dash was happy and healthy. About 4 weeks ago, while we were at a park, and Dash was off lead, he kept running past me while looking for me. He would get all panicky as he just did not seem to see me, and I thought he was just being "naughty". This continued until one day, after a walk he just bumped into the front door. 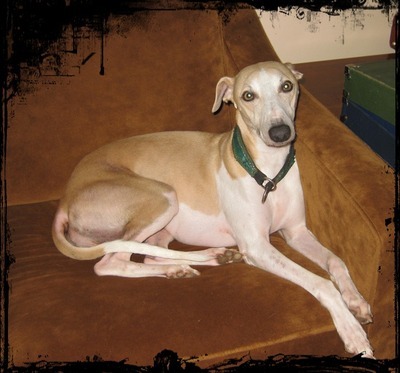 He also has the bad habit, that whippets often do, of jumping onto kitchen benches. As well as this, he used to gently jump on to my lap, thinking he is a lap dog, and suddenly, when he jumped he seemed to miss, and was virtually slamming into my face! He is normally a very gentle, although active dog. After a few weeks of this behaviour, I had to get his needles so we all went to the vet and I mentioned it. The day I went to the vet, he had obviously bumped into something as both his knees had cuts on them. To my horror, she looked into his eyes, and told me his pupils were dilated, and there was something wrong behind his retina, and he would probably go blind. There is no cure, however I am going to see a dog ophthalmologist, which in itself is very strange, as I have glaucoma and go to eye doctors every few months. She said this was not glaucoma but to me, the lay person, it sounded the same. My question is, what do I do now? I feel so awful for him even though I know he doesn't have the same feelings as a human and would not understand what is going on. I have heard that you do not shift furniture around with a blind dog, however I do not know what to do about letting him have his weekly run. He goes on and on running almost like a kangaroo, or almost flying at times, once a week. I would hate to have to stop this outing, but I go near a river and bush and would worry he would get lost. Does anyone have any suggestions, or has been in a similar situation? Dash is only 7 and has probably at least another 7 or 8 years to live. I am taking him to an Opthamologist later this week -the vet said there is nothing can be done but as I have insurance, I will go to the specialist. Finy, I am so sorry to hear that your little man has this condition. Bobby was almost blind for most of his later year but as he was little it wasn't a big issue. If Dash is happy moving around the home and the back yard blind then he will adjust. His need to run can still happen with some safety precautions. Maybe you can try hydrotherapy for him to splash around in the water with supervision. Maybe a treadmill to help him run without hurting himself. There are options, I am sure of it. Although, I have not had that same situation. I once did everything in my power to have a stage 2 glaucoma cut off my best friend's dog. We went to the cancer specialist for animals but I can't remember the name of the occupation. She was a dog from the pound and it was so good to know that we valued her life that much to go out of our way to find a solution that would allow her to continue to have a good quality of life. I know she appreciated it. 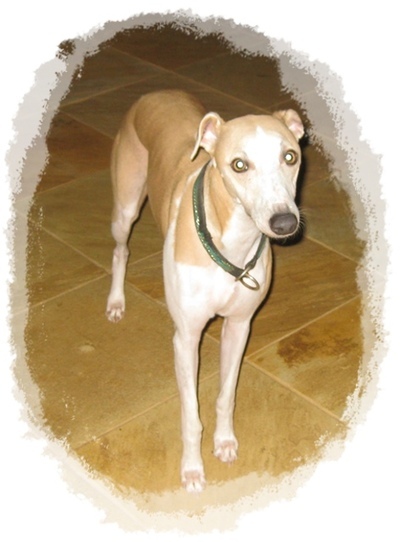 Selina, The specialist confirmed what my vet said -it is like macular degeneration in people. I was so upset, I didnt even take in what it actually is in dog language, but end result is the same. He WILL go blind. He said that as it is a slow progression, dogs usually adjust well to it but watching him run this morning again, I thought I cannot bring him down to the River if he gets much worse as he will kill himself running so fast and possibly into a tree! I dont know that I could ever get him to run on a machine -I am not good at training my dogs. Hi there, so sad that Dash is going blind, but there is a way of allowing him to run. If he has a playmate that enjoys a run you can tethering them 2gether at first it might seem clumpsy but they'll figure it out. Eventually they should run in unison. Otherwise have some superfit two legged person run with your boy on a lead. Just a suggestion..
vaugh -thanks for the reply. I have another dog, however he is 13 years old and large so I could not put the two together as Dash is much, much faster and it would be a problem as the other dog has arthritis. It is a good idea and will keep it in mind, in case I get another younger dog ever. It is odd but sometimes Dash sees and other times he just bumps into things. He stood in front of the wall for five minutes yesterday thinking it was the door! Hi Finy, We can empathize with you. In April of 2001 we brought home a Beagle pup, just 8 weeks old. By the end of a week, we knew something was not right. Our vet could not tell if it was congenital, or an accident, but could confirm that Benny was indeed blind. We wound up getting one of his litter-mates from the breeder, but chose to keep Benny also rather than return him to the breeder.Benny's litter-mate Sophie has been his eyes, but also his bossy defender. I did a lot of research, and discovered that for dogs that enjoy the kind of running Dash does, a harness is the first thing he needs. Then, train him to run with you riding a bicycle, roller skating, or using a human powered scooter or skate board. He may not be able to run as fast, but he will still be able to enjoy his run. A caribiner clip used to attach the leash securely to you will help keep Dash safe. Dogs have an excellent sense of smell and hearing and with a little help from you, Dash can remain healthy and active for years to come. Unfortunately I am too old to do any of this -cannot run any more and would no longer ride a bicycle. I went yesterday and he didnt bum\p into a tree so he is not yet blind however I think he is at night. Vet said night vision goes first also. Your ideas are great if I myself were younger and able to do that! It is me and the even older dog! Hiya, I found myself in a situation with a little dog of mine (who has now passed due to old age) going blind. After tug of war with my other dog her lens dislocated which at the time the lens was removed and she was expected to live a normal life with some limited vision. I, too, went to an animal Ophthalmologist. However after many complications and about 6 surgeries later, both her eyes had to be removed so she was completely blind. She was a small dog (Jack Russell Terrier cross, so still very active) and off leash was great as she didn't venture far and her hearing was great so she always returned when I called for her. My little girl was about 7 when all this happened, and lived a full life until she was about 17-18 yrs old. Your darling dog will adjust. 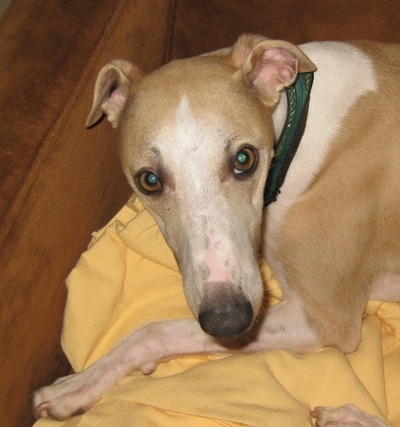 You may find Dash won't want to run too far from you because he may feel a bit insecure. I had one of these for a dog of mine that would not come back when called and this was great because it gave her about 15 metres of lead to run free but was always safe with me on the other end!! Have you considered an enclosed dog park if they are nearby where you live? That would give Dash the opportunity to run with the safety of not escaping. Also plenty of stimulation with smells and other dogs. Mental stimulation is equally as important and as satisfying as physical exercise. I am not sure what your exercise routine is, but daily walking on leash for a dog to get out and about to sniff about and take in the sights and sounds is just as important and great mental stimulation. You may find Dash gets great satisfaction and is quite content with that. Rest assured you will both adjust. It can be scary but trust me Dash will be ok. Animals cope much better with their disabilities than what we ever would expect. Thank yoiu for your reply about dash. 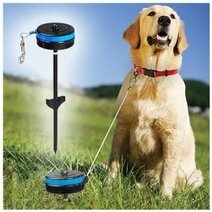 There is one problem with the suggestion and it is a huge one -I crushed a vertebrae several years ago and no longer have strength -if I put him on a retractable lead and he runs as he does normally (very fast!) and runs out of lead, I am likely to fall straight over -has happened on an ordinary lead, and I have to walk my dogs separately every day because of this as can no longer control them if another dog walks by. I have ended up flat on my face several times. Dash will also go completely blind eventually -two vets have already told me that. Same problem with the horse lunge. Re the enclosed park -the running away is not a problem -it is MY feat that when he is completely blind and running like the wind, as whippets do, he will slam into something, including people but if he slams into a tree he will do himself harm. I guess he will have to adjust to not running off lead -If i didnt also have a problem both your suggestions could have worked. I read an article saying not to be sad as the dog doesnt know and is not sad, and will pick up on my vibs. I do feel so very sorry for him which is exactly what I am not supposed to do. thanks again for taking the time to give me a suggestion -I should have said originally that I also have a back problem! I'm thinking that perhaps a tether might be the answer. You can buy several different kinds that attach into the ground easily and don't tangle. You can take your dog to an open area, insert the tether and let him go. The longer the leash the further he can go. I've attached an example (courtesy of Amazon.com) but if you Google you will see other designs. Thanks Colmo -I think, because he is one of the fastest dogs, that anything where he is tied will not work. He runs too fast and would possibly choke if going like he does and the rope suddenly goes taut. Apparently they go about 60 m an hour and he almost flies when I take him. I have stopped taking him as the other old dog, who he hangs around, is very sick and I do not know what to do when he goes which I fear is not long. Dash will be lost, but I guess he will get over it. I am actually finding it quite dangerous for me as he walks almost under my feet and I have tripped several times, but guess he cannot help it as he knows where I go, he will not bump. 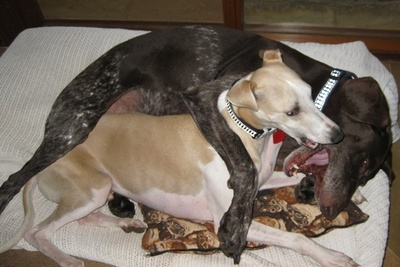 I think his running days are over which is very sad for a whippet/sight dog. I have a lot of sympathy for your predicament as I too have a relatively young dog who is blind. Mine is a Staffy and started to lose her sight at the age of 7, she is now 9 and has been totally blind for a year. It is a very difficult situation as she cannot be allowed to run freely any longer except in very open spaces. She is fearful and cautious when walking which makes my life extremely difficult. I also have her daughter who needs to be exercised. I alternate between feeling desperately sorry for her and extreme irritation as I feel trapped by the situation. I can no longer put her in a kennel if I need to go away for a couple of days and it is almost impossible to find someone who is able and willing to look after her. My children think I should have her put to sleep but I just cannot bring myself to do this. However it is now a quality of like issue, her quality of life or mine. I am nearing 70 and alone having lost my husband to cancer a few years ago, I have no one to share the burden and several things I would like to do before I am too old. I guess the answer is to let her go as in spite of my best efforts her quality of life is very diminished, I just have to find the courage to do it. Good luck with your boy Dash. Oh annek -i am similar age to you and similar but I would NOT put Dash down -I was told that I will feel worse about this than the dog as they get used to it GENERALLY. It DOES affect what I can do, however I love Dash to bits and it is through no fault of his own that this has happened. I HAVE been told by one person that i may have to put him down but the vet opthomologist has never mentioned this as an option. Yes, he does walk slowly around the house, he does bump into things, he cannot have a "normal" life, but ot him it has become normal and I would no more put him down than put my younger healthy dog down. I know we all have to do what is right for ourselves, but if you exercise the sighted dog, cant you just leave the blind one on the lead? They get used to no exercise I have found and it does not seem to harm them. with the same password you use for here (do not tick re getting emails0 and send a message either via share review or press contact. I am assuming your dog is healthy otherwise? Does he have PRA?